Support our Young Ones! Help a child get life-changing intensive PT. 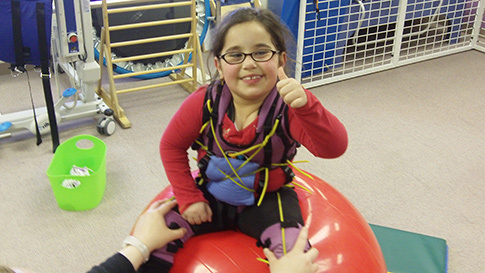 As a 501(c)(3) non-profit, we fund treatment and travel grants for children to receive one-on-one intensive physical therapy at Euro-Peds National Center. That’s one child, one therapist… One amazing opportunity to increase mobility and change one life at a time! The winner will be announced at 3:30 p.m. during the Euro-Peds Foundation's Family Fun Day at Oakland Yard Athletics in Waterford. You do not need to be present to win, and you can see us draw the lucky entry live on our Facebook page. Click the blue “Donate” button on this page by 10/4/18 midnight. Remember to check the 'Share my mailing address' box when enter your information. We’ll mail your raffle tickets when purchased. PayPal and credit cards accepted online. Monday – Thursday: 9 a.m. – 6 p.m. and Friday: 9 a.m.– 2 p.m. Preferred payment method – Cash or checks made payable to Euro-Peds Foundation. Download our Raffle and Fun Day event flyer here to share and spread awareness.